Sabah via Associated PressIn a still image from surveillance camera footage taken Oct. 2, 2018, and published Thursday, Oct. 18, 2018, by the pro-government Turkish newspaper Sabah, a man previously seen with Saudi Crown Prince Mohammed bin Salman’s entourage during an April trip to the U.S. walks toward the Saudi Consulate in Istanbul just before writer Jamal Khashoggi disappeared there. A man who has often been seen travelling with Saudi Arabia’s crown prince was photographed entering the Saudi consulate in Istanbul just hours before Jamal Khashoggi disappeared. The man has been identified as Maher Abdulaziz Mutreb, a prominent aide to Crown Prince Mohammed bin Salman. 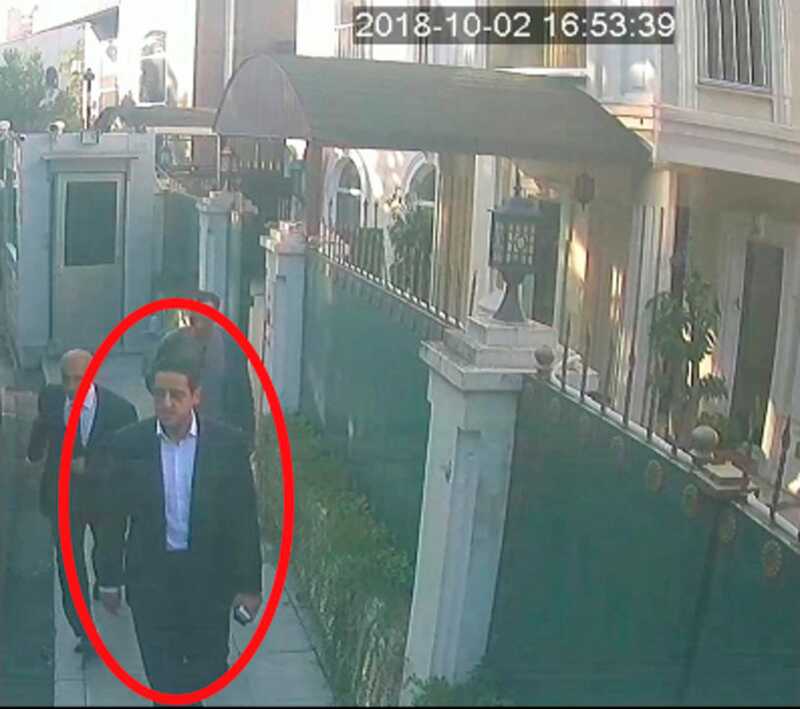 The surveillance footage showing Mutreb could be a key piece of evidence connecting Khashoggi’s disappearance to Crown Prince Mohammed. A well-known travel companion of Saudi Arabia’s crown prince can be seen in surveillance footage walking into the Saudi consulate in Istanbul, Turkey, just hours before Washington Post columnist Jamal Khashoggi disappeared on October 2. A time-stamped still image from the footage was published Thursday by Sabah, a pro-government Turkish newspaper, and distributed to international news outlets by The Associated Press. The man has been identified as Maher Abdulaziz Mutreb, whose relationship with Crown Prince Mohammed bin Salman is unclear, though the two are often seen travelling together. Sabah also published other photographs showing Mutreb outside the Saudi consul general’s home, leaving a Turkish hotel with a large suitcase, and at a Turkish international airport later that same day. The footage is believed to be a key piece of evidence connecting Khashoggi’s disappearance – and likely death – to Crown Prince Mohammed. Time stamps from the photographs show that Khashoggi entered the consulate around 1:15 p.m., and was never seen emerging. Meanwhile, Mutreb could be seen entering that same consulate at 9:55 a.m. that morning, then was spotted at the consul general’s home by 4:45 p.m., leaving the hotel at 5:15 p.m., and at the airport at 5:58 p.m., according to The New York Times. 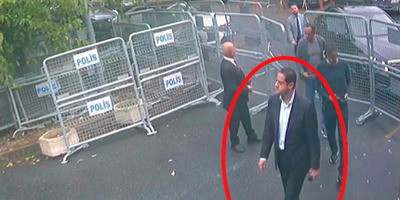 Sabah via Associated PressIn a frame from surveillance camera footage taken Oct. 2, 2018, and published Thursday, Oct. 18, 2018, by the pro-government Turkish newspaper Sabah, a man identified by Turkish officials as Maher Abdulaziz Mutreb, walks outside the Saudi consul general’s residence in Istanbul.